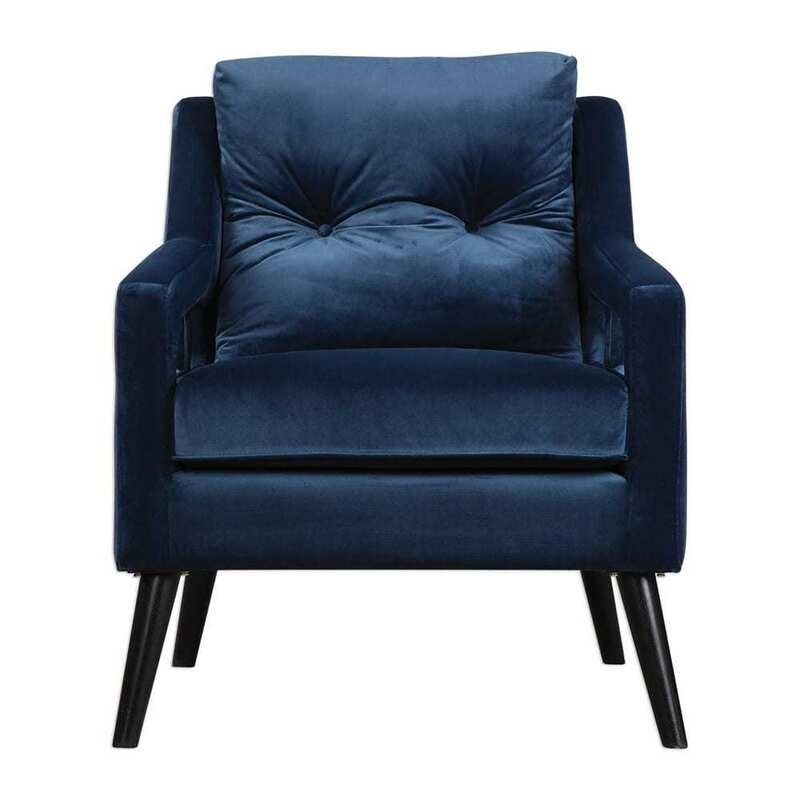 Open back concept in ink blue polyester velvet, on solid birch legs in antique black. Dimensions: 34 3/4″ high x 28″ wide x 34 1/4″ deep. Weighs 42 lbs. Seat height is 18″ high from floor. Seating area is 22″ wide x 24″ deep x 4 1/4″ high. Arm height is 30″ high from the floor.